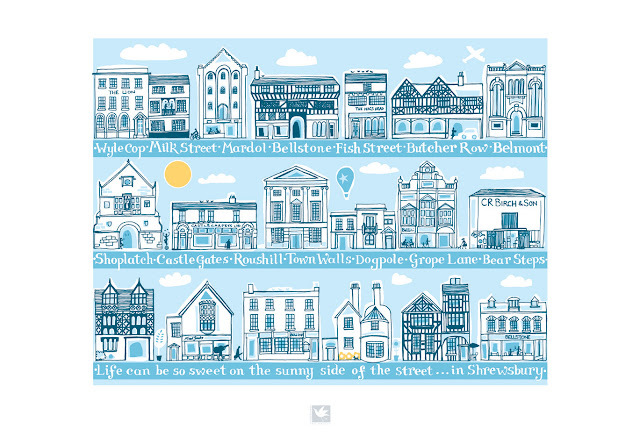 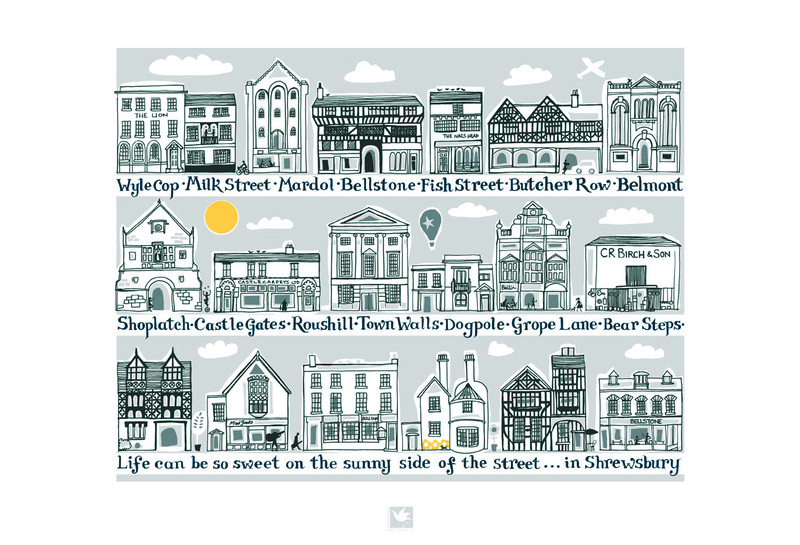 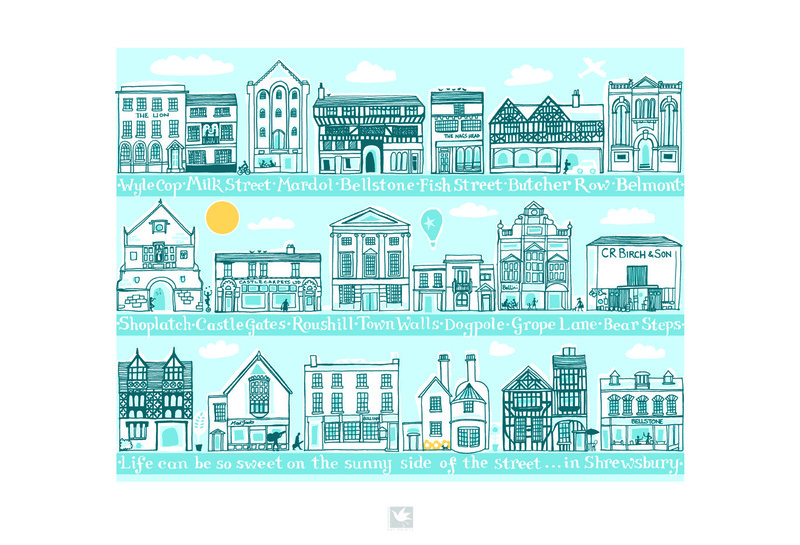 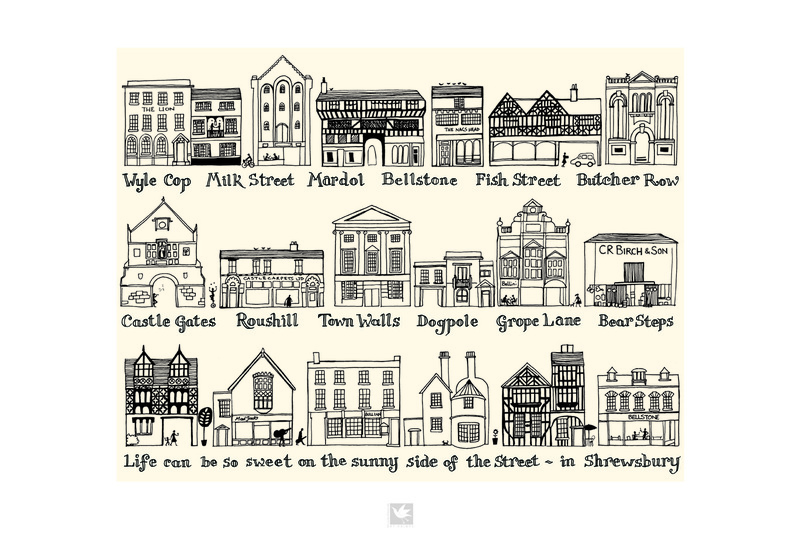 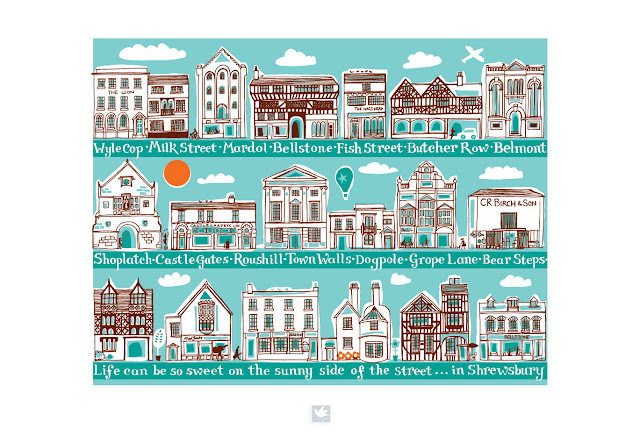 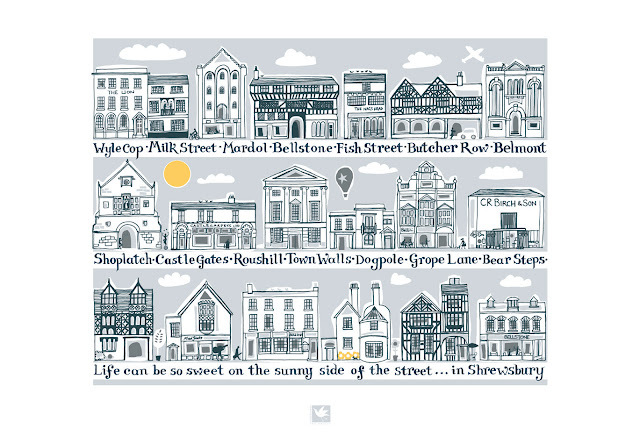 Life can be so sweet...on the sunny side of the street...in Shrewsbury. 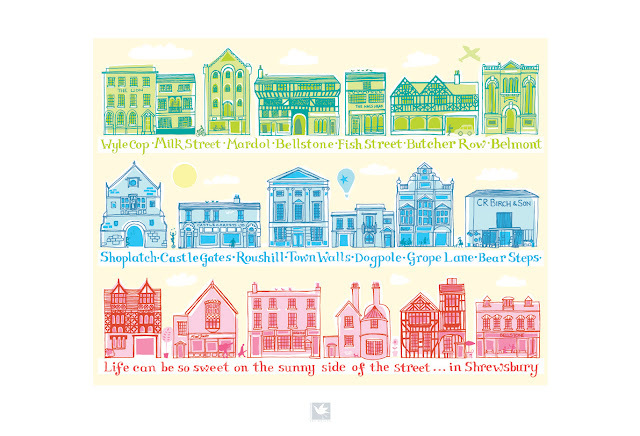 I made this drawing to celebrate my home town. 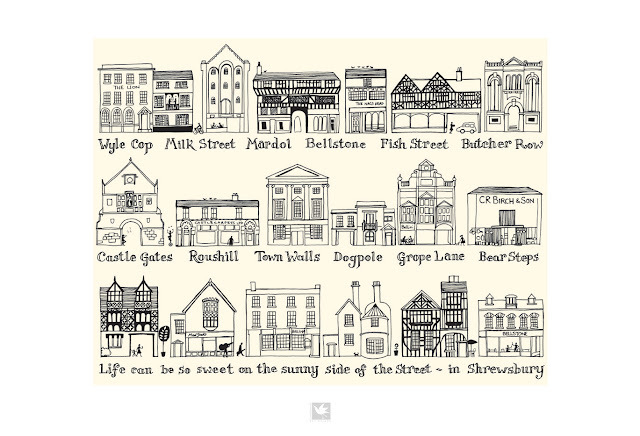 I have lived here for twenty years now and come to love the meandering streets and shuts of the old town centre that lies within a loop of the River Severn. 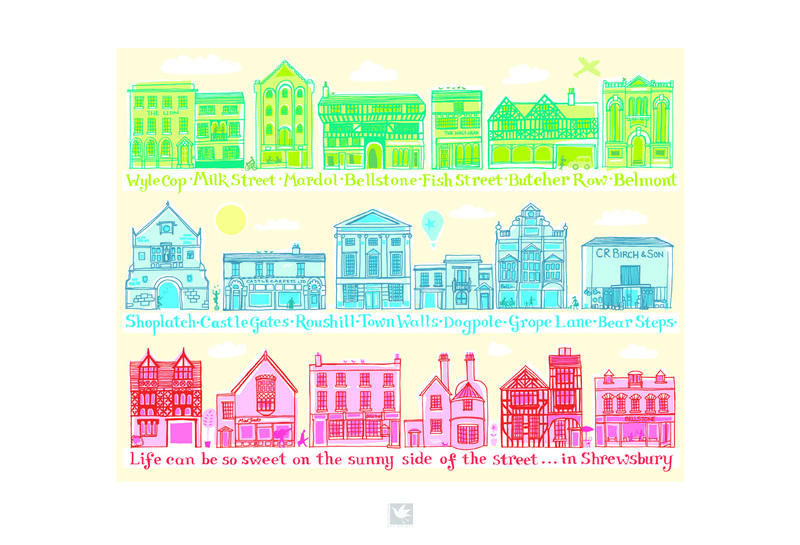 The street names are idiosyncratic and evocative of a long history. All the buildings are very varied and I have mixed them up which is the way it feels when you wander around the town. I've had fun trying out the drawing in different colours. Soon to be available online.